Chalcogenide microfibers could be used to replicate the workings of the human brain, enabling optical computers capable of learning and evolving. A variety of broadband photoinduced effects allow metal-sulfide fibers to be switched on and off. This optical switching can be exploited for a variety of next-generation computing applications capable of processing vast amounts of data in a much more energy-efficient manner, according to researchers at the University of Southampton and Nanyang Technological University in Singapore. 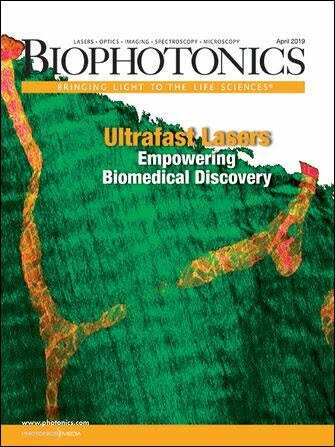 “By going back to biological systems for inspiration and using mass-manufacturable photonic platforms, such as chalcogenide fibers, we can start to improve the speed and efficiency of conventional computing architectures, while introducing adaptability and learning into the next generation of devices,” said Southampton research fellow Dr. Behrad Gholipour. Samples of chalcogenide glass. Courtesy of the University of Southampton. However, compared to our biological systems, today’s computers are more than a million times less efficient. Simulating five seconds of brain activity takes 500 seconds and needs 1.4 MW of power, compared to the small number of calories burned by the human brain. By exploiting the material properties of the chalcogenides fibers, a team led by professor Dr. Cesare Soci at Nanyang demonstrated a range of optical equivalents of brain functions. These include holding a neural resting state and simulating the changes in electrical activity in a nerve cell as it is stimulated. In this model, the changing optical properties of the fibers act as the varying electrical activity in a nerve cell, and light provides the stimulus to change these properties. This enables switching of a light signal, which is the equivalent to a nerve cell firing. The results pave the way for scalable brain-like computing systems that enable “photonic neurons” with ultrafast signal transmission speeds, higher bandwidth and lower power consumption than their biological and electronic counterparts, the researchers said. “This work implies that ‘cognitive’ photonic devices and networks can be effectively used to develop non-Boolean computing and decision-making paradigms that mimic brain functionalities and signal protocols, to overcome bandwidth and power bottlenecks of traditional data processing,” Soci said. Funding came from Singapore’s Agency for Science, Technology and Research (ASTAR). The research was published in Advanced Optical Materials (doi: 10.1002/adom.201400472). For more information, visit southampton.ac.uk.